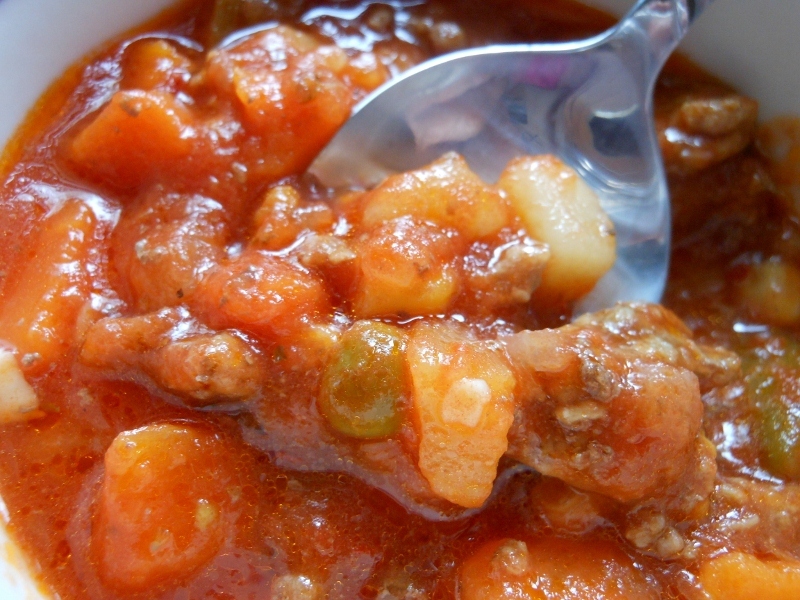 I love making quick and easy soups and it doesn’t get much easier than a vegetable soup. I used hamburger, but leftover roast or steak would be perfect also. Adjust the vegetables to your liking ~ you will want about 2 cups of your favorite combination; I just happened to have a can of mixed vegetables and a few leftover from yesterday’s lunch so I tossed them in too. Over medium heat sauté beef, garlic, and onion. Add crushed red pepper, salt, and pepper. Drain beef if desired. Add mixed vegetables, tomato juice and marjoram. Reduce heat to very low and simmer for about 30 minutes. This whole dinner started because I was going to make some homemade noodles. However somewhere along the line I got the cart in front of the horse and bought the meat and mushrooms. I also had the can of tomato juice in the refrigerator that needed used but I just didn’t find the time to make noodles. None the less this was delicious. 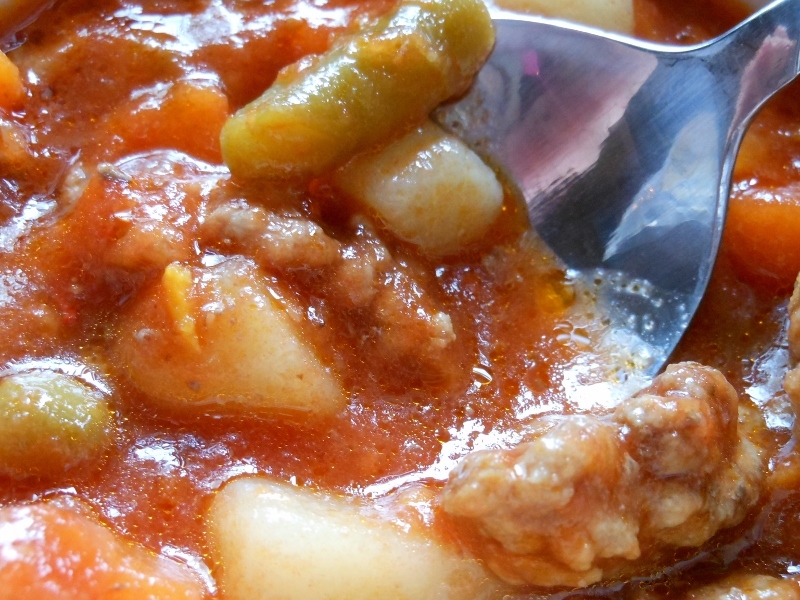 Just use your favorite type of noodle or add potatoes and veggies for a great stew. Seer beef over medium high heat until browned on both sides. Remove beef from skillet; mix tomato, onion, peppers, and adobo sauce. 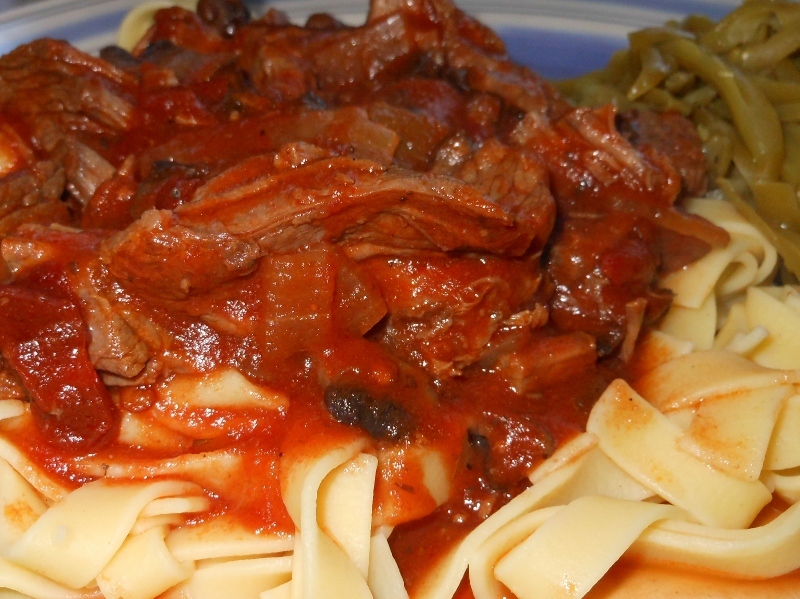 Place beef in large casserole or dutch oven and pour sauce over top. Bake at 325 degrees for about 2 hours. I roasted the beef the night before and chilled in the refrigerator before making for lunch the next day. Trim beef and shred or dice to desired size. Saute mushrooms in butter until desired tenderness. Add beef and sauce and heat through. 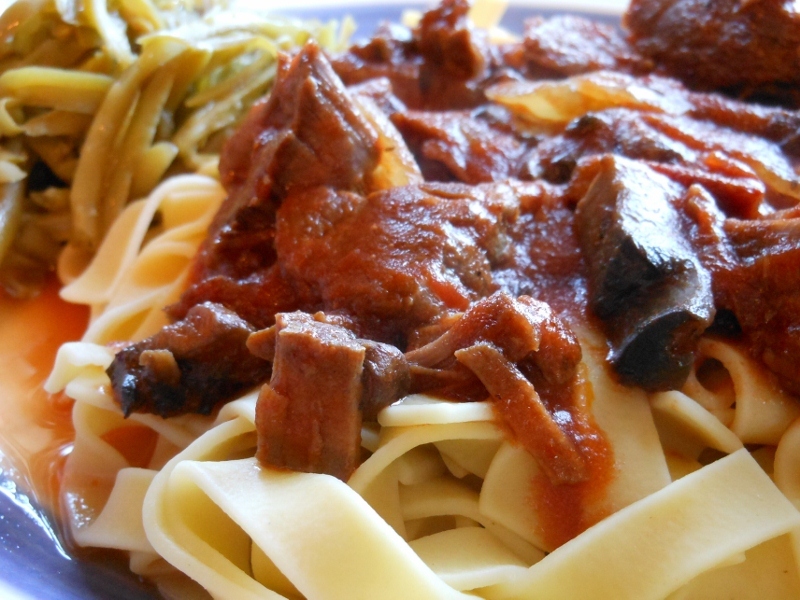 Serve with noodles of choice.